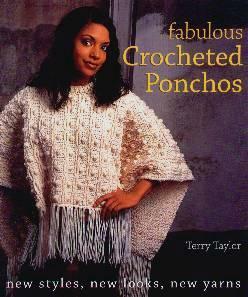 Not ever having crocheted a poncho before, I was intrigued to see what was on offer. Ponchos are great for casual (you can dress them up too) comfort and can be extremely warm. As winter approaches, if you're looking for something crafty to do, these designs offer a challenge, whether you're a beginner or a seasoned crochet buff. Whether you prefer a light and lacy poncho, a medium-weight one, or even a fancy one, there are thirty designs to choose from. Patterns that appealed to me, and which I'd like to try making, were Faux Sheepskin Poncho (I live in Colorado and with winter around the corner, this will be a great project) and Sunset Poncho (divinely cozy). Crochet is so quick, too. The patterns have been grouped by skill level so there's bound to be something for everyone. Conclusion - A very useful and productive book.